Can Dogs Eat Pork Safely And Is It Good For Them? Can dogs eat pork and pork bones? Many of us love a tasty piece of pork, and equally many of us love to share our food with our beloved dogs. But just because we humans can eat something, doesn’t mean we should give it to our dogs. Which raises the question: can dogs eat pork safely? Can dogs eat pork safely? 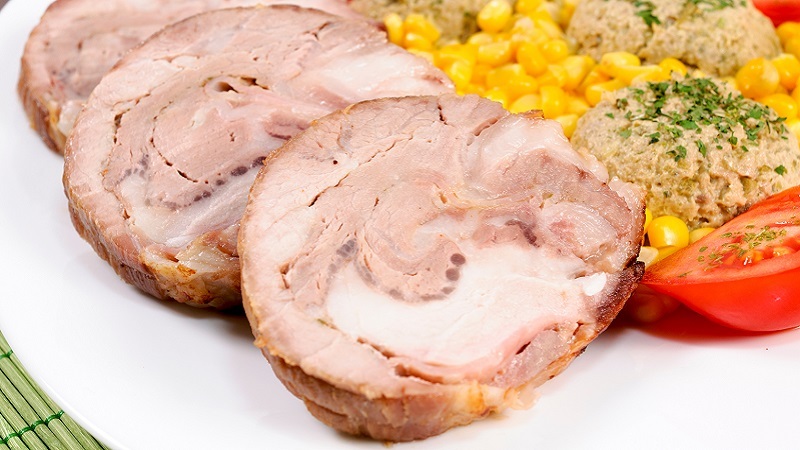 The main reason to take care when giving pork to your dog is because pork can contain a parasite called Trichinella spiralis which can cause a disease called trichinosis. Indeed, the Trichinella spiralis parasite is often called the “pork worm” because of the fact that it’s so often found in under-cooked and raw pork. And trichinosis is a disease that can result in some nasty symptoms such as diarrhea, vomiting, pain, sore muscles and inflammation. So if you’re going to feed pork to your dog, it’s vital that you make sure the pork isn’t infected. You can do this by freezing the pork for a few weeks before cooking it, and then making sure that when you cook it, you do so thoroughly enough. One other condition to meet before you give your dog pork is to make sure the pork doesn’t have any seasoning on it, such as garlic. Seasonings such as this can be toxic for your dog and should be avoided. Just like the first time you give your dog any new kind of food to eat, you should watch them closely in case they suffer from any sort of adverse reaction to it. And in fact, dogs are more likely to have an allergy to pork than to other kinds of meat such as chicken. Indeed, studies have shown that as many as half of dogs have an allergic reaction to it. So the first time you give your dog some pork, just give them a small piece and watch them carefully afterwards. If they seem to have a reaction to the pork, don’t give them any more in future. If all this makes you nervous about giving pork to your dog then the answer is simple: just don’t do it. There’s another reason you might not want to give your dog pork too. And that is that pork is rich and fatty, which means that some dog breeds can find it difficult to digest. And a real risk for dogs whose diet is high in fat is pancreatitis. Can dogs have pork bones? A related question is whether or not dogs can have pork bones. Giving pork bones to your dog is tempting both because your dog will probably love them and because it’s an easy way to get rid of them. And many dog owners don’t even consider whether they should give their dogs bones or not. But is it really a good idea or are pork bones bad for dogs? Unfortunately, the quick answer is no, you shouldn’t give pork bones to your dog. This is true, whether they’re cooked or raw. The reason is that the pork bones can easily crack and splinter. And your dog can then easily choke on the bone splinters. Or if they manage to swallow them, they can result in serious and potentially fatal internal injuries. So don’t take the risk: avoid giving pork bones to your dog. The answer to the question of can dogs eat pork is a qualified yes. But there are some good reasons why you may not want to do so, as discussed above. And you should definitely not give pork bones to your dog. I always recommend that the best normal diet for your dog is just the best dry dog food in your budget. It’s as simple as that!